The Lihir Island orebody is located at an elevation just above sea level within the Quaternary-age Luise Caldera of Lihir Island, Papua New Guinea. The caldera is breached by the sea on its northeast side. Hot fluids rising from a still-active geothermal system are believed to have deposited gold in brecciated rocks of the caldera. The ore body is to be mined in a 2 x 1.5.km open pit that ultimately will reach a depth of about 220 m below sea level. Within the caldera, here is intense surface geothermal activity in the form of teaming ground, fumaroles, boiling springs and gas seeps. At the floor of the proposed mine, rock temperatures are as high as 170°C and immediately adjacent to the proposed western margin of the mine, temperatures reach 240°C at a depth of about 300 m.
Forth, J., Menzies, A.J., Klein, C.W., and Howard, W.T., 1995. PLANNING FOR MITIGATION OF THE GEOTHERMAL SYSTEM TO ALLOW DEVELOPMENT OF THE LIHIR GOLD PROJECT, LIHIR ISLAND, PAPUA NEW GUINEA. GeothermEx, Inc.,Richmond, California. 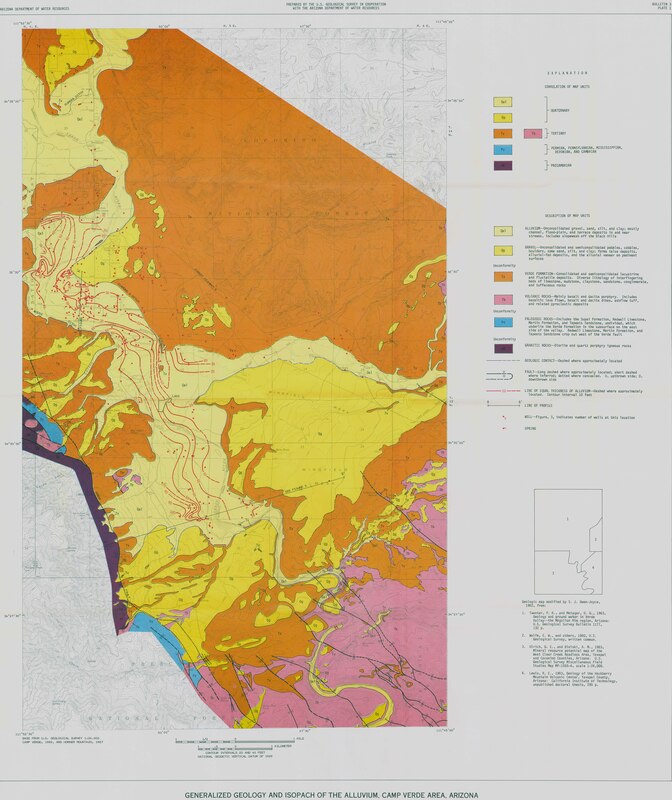 Provides improved understanding of the hydrologic system of the Prescott AMA based on the collection, analysis, and utilization of large amounts of geologic and hydrologic data. Description of area and hydrogeologic system. Tables, maps. Corkhill, E.F and Mason, D.A. 1995. 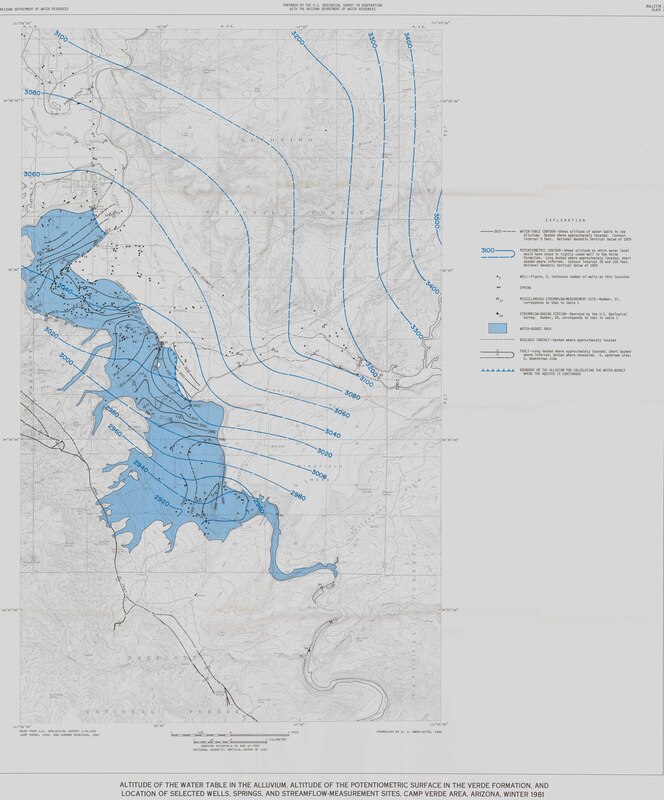 Hydrology and Simulation of Groundwater Flow, Prescott AMA, Yavapai County, Arizona: Arizona Department of Water Resources, Phoenix, Modeling Report 9, 200 pp. Describe the hydrologic system in the Camp Verde area and the quantity and chemical quality of the ground water. Maps, cross sections, graphs. Owen-Joyce, S.J. 1984. 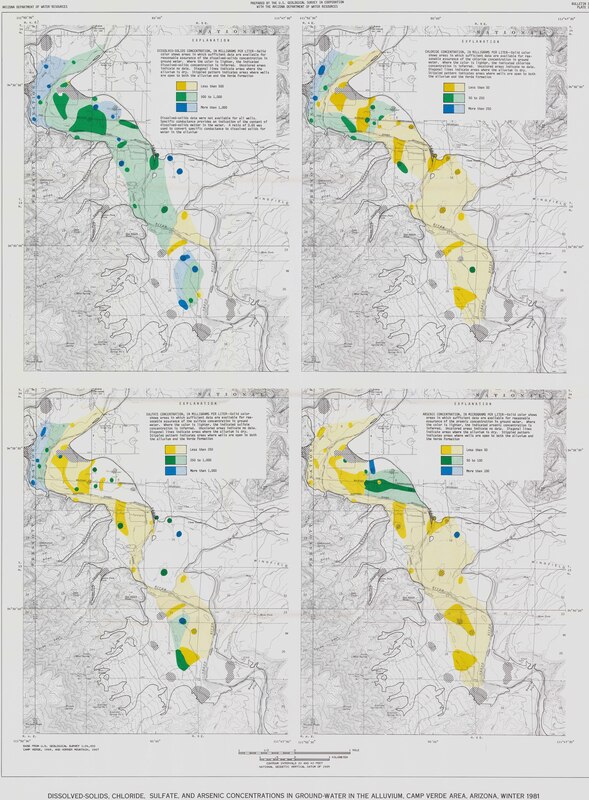 Hydrology of a Stream Aquifer System in the Camp Verde Area, Yavapai County, Arizona: Arizona Department of Water Resources, Tucson, Arizona Depart of Water Resources Bulletin 3, 60 pp.